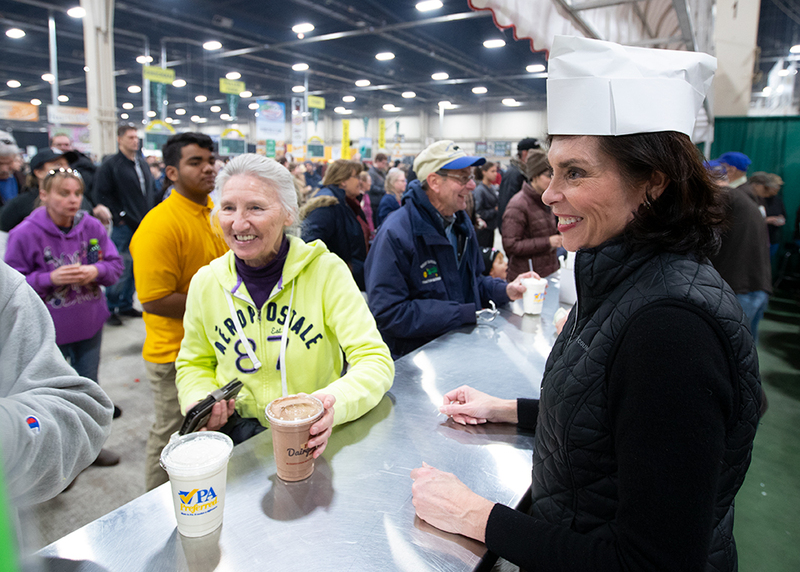 Congratulations to York Countians who earned recognition at the 2019 PA Farm Show! On Tuesday, Governor Wolf unveiled his 2019-2020 state budget proposal. 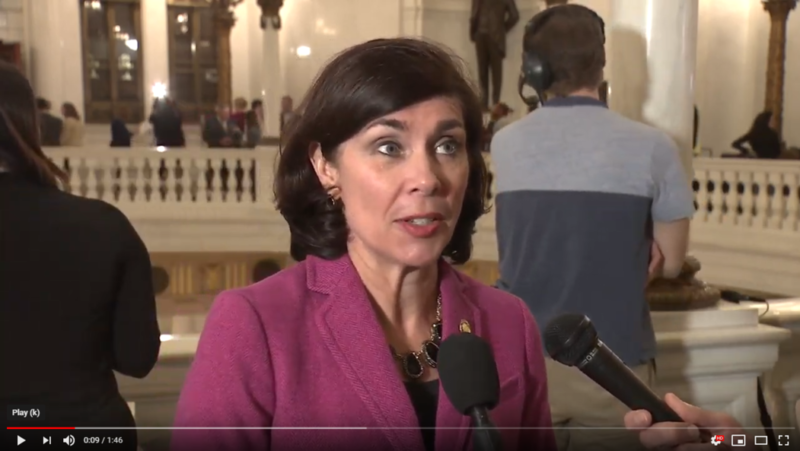 The governor is proposing to spend $34.1 billion for the upcoming fiscal year, which starts on July 1, 2019. This is an increase of more than $927 million from our current operating budget, or a nearly a 3 percent increase in state spending. The governor is relying heavily on shifting funds from “special funds” as well as borrowing to balance next year’s budget. I agree with the governor’s desire to prioritize career and technical education to help our next generation transition from education to workforce, and I’m ready to work with him to grow the economy through substantial regulatory reform. And thankfully, due to the hard work of Senate and House Republicans over the last few years who served as a backstop to Governor Wolf’s tax-and-spend budget proposals, we are in a much better place financially today as a Commonwealth. As an advocate for more transparency in government spending, I am very concerned with this budget’s approach of playing hide-and-seek with tax dollars by moving various budgetary items in and out of various special funds. The lack of a solution to the school property tax crisis, and a proposal to borrow $4.5 billion to pay for various wish-list items are also problems that we will need to address. As a member of the Senate Appropriations Committee, I look forward to a thorough review of the state budget proposal, including the fees and taxes that are hidden from the General Fund and placed in special funds, to ensure tax dollars are utilized for their intended purpose and not stockpiled or misused. The public hearings on the state budget proposal will start on Tuesday, February 19. You can learn more about the upcoming hearings on my website. I think the governor’s budget is a good starting point and look forward to working with my colleagues to reach a final agreement that puts taxpayers first. 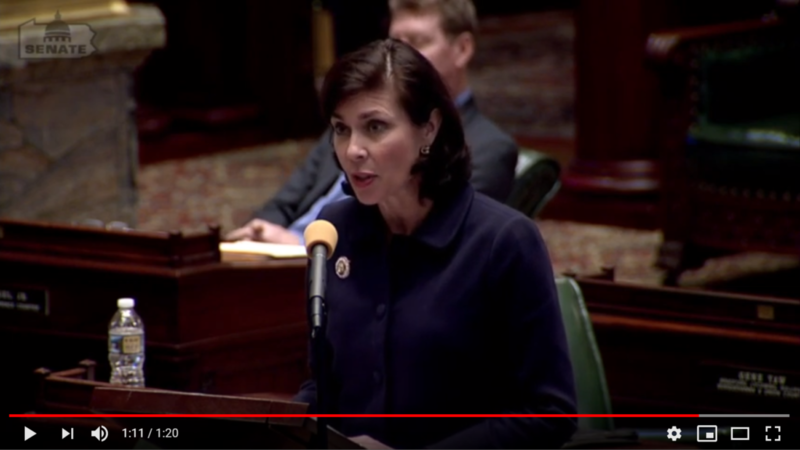 You can watch my reaction to the governor’s budget address here. You can read the governor’s budget proposal in its entirety here. I welcome your feedback or any questions you may have about the budget. The Senate took an important step on Monday by unanimously approving legislation I cosponsored that would strip state pensions from lawmakers, state officials and employees who are convicted of or plead guilty to a job-related felony. If a public official or employee is convicted of or pleads guilty to any job-related felony, he or she will suffer the consequences. This legislation is in response to a former state senator, who used his staff to perform political work on state time, was found guilty on federal conspiracy charges, served time in prison, and still had his $20,000 a month public pension restored. I encouraged my colleagues in the senate to vote in favor of this much-needed reform, because like you, I am outraged that despite defrauding taxpayers, this former senator still collects a $246,000 a year public pension. You can watch my speech here. For the record: I do not participate in the state pension plan program and I do not receive health care benefits through the senate. Read more about the passage of Senate Bill 113, sponsored by Senator John DiSanto (R-Dauphin/Perry) here. The Department of Agriculture provided the final list of award recipients at this year’s Farm Show. I spent several days meeting with many residents of the 28th District to discuss important issues affecting our agriculture industry. I always enjoy meeting with local residents, especially so many passionate folks who work hard every day to put food on our table, create jobs and continue to pursue their passions in the industry. Thank you to everyone who attended this year’s Farm Show, participated in various exhibits and competed in the hundreds of events. You made York County proud! 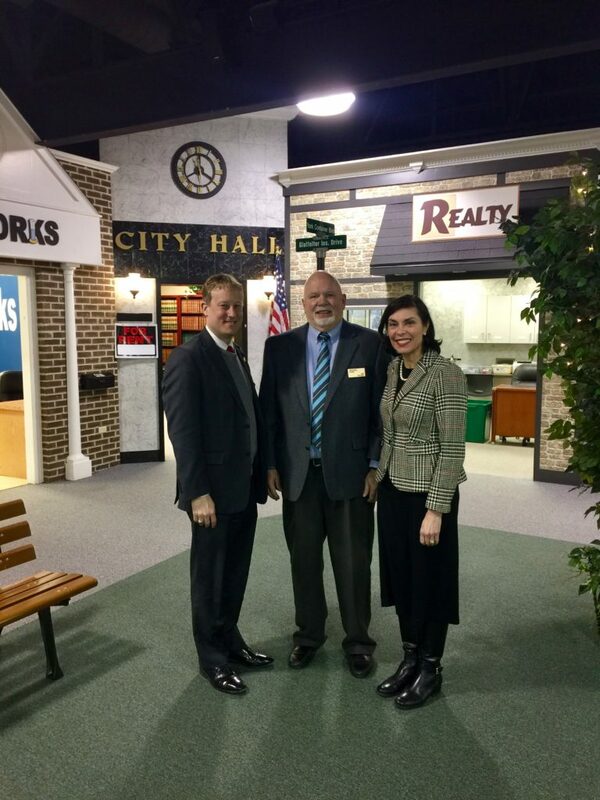 Last week, Senator Ryan Aument (R-Lancaster) and I toured Junior Achievement BizTown in downtown York. Tom Russell, the program’s director, and his entire team were gracious hosts to show me the many updates they have made to the program since I last visited. I was especially grateful to my friend and colleague, Senator Aument, for touring with me to see first-hand the positive impact Junior Achievement has on not just York County, but several counties throughout our region, including his home county of Lancaster. Senator Aument is the Senate Education Committee Chairman for this session so I thought it was extremely important to have him visit this local resource many of our schools have come to count on for creative education to teach our next generation important life skills. Learn more about BizTown here. 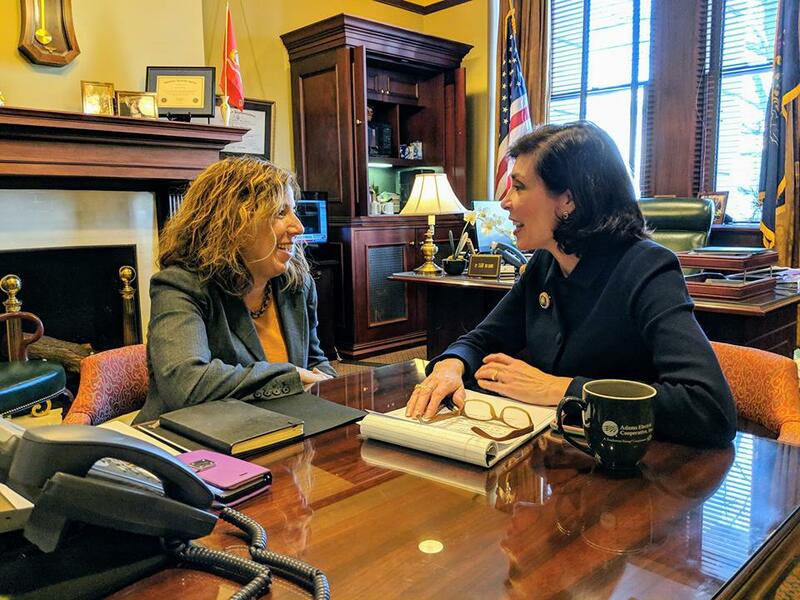 On Monday, I hosted Pennsylvania Department of Transportation Secretary Leslie Richards in my office to review priorities for the 28th District and how we can streamline certain projects that have local residents concerned. Specifically, we reviewed the plans for Mt. Rose interchange, the Shrewsbury interchange and other projects throughout the 28th Senatorial District. If you have any state-related transportation issues, please don’t hesitate to contact my office at 717-741-4648 or reach out to me online. The Senate Agriculture and Rural Affairs Committee unanimously approved my bill to provide for licensing fee exemptions for service dogs in Pennsylvania this past Monday. The bill will grant our first responders, sheriff’s offices, and other entities that provide rescue and emergency services with an exemption from the licensing fees. I’m grateful for the support of the York County’s Sheriff’s Office for this legislation and the support of many volunteer rescue and fire organizations from across southern York County. You can listen to my comments on the legislation here. 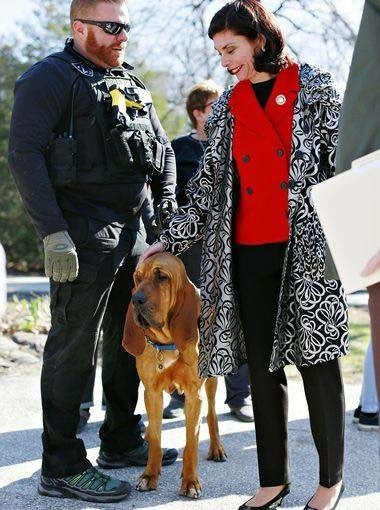 My bill would expand the service dog fee exemption to EMTs and county sheriff’s offices. Read more about this legislation here. 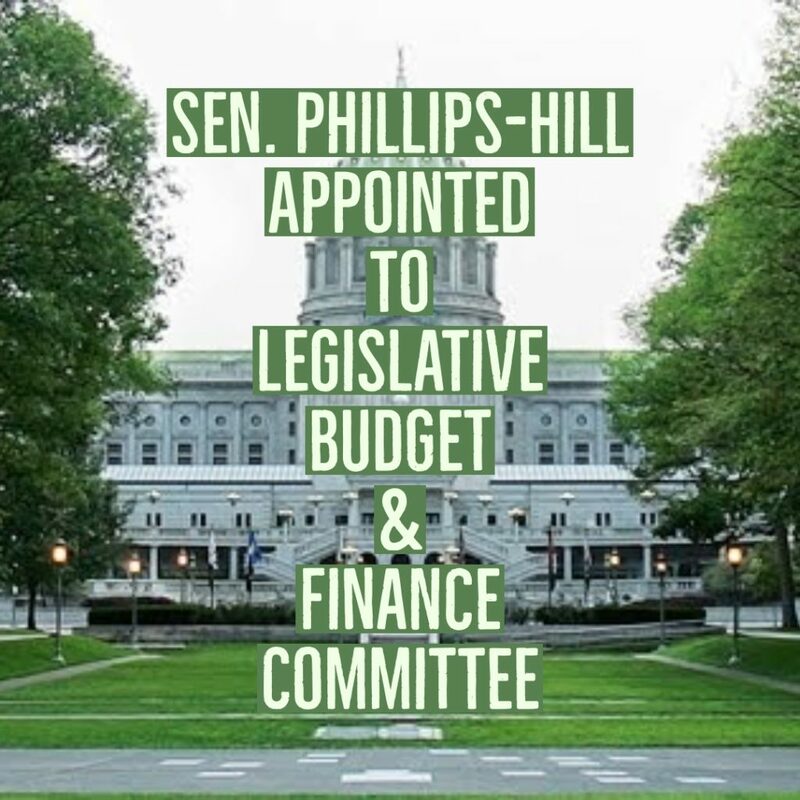 I recently learned that I will serve as one of three Senate Republicans and one of 12 members of the entire General Assembly on the bipartisan and bicameral Legislative Budget and Finance Committee (LBFC). The LBFC conducts studies and makes recommendations aimed at eliminating unnecessary expenditures, promoting efficiency in the government of the Commonwealth, and assuring that state funds are being expended in accordance with legislative intent and law. I am grateful for Senate leadership’s trust in me to serve on this committee to help advance commonsense policies that ensure the best use of tax dollars and how we can continue to grow our economy. Read more about my latest appointment here.